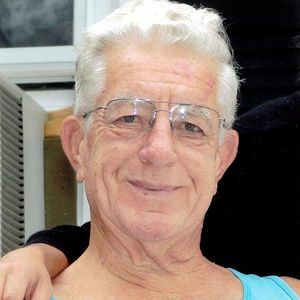 Ernest I. Schultz, age 88, of Sterling, passed away peacefully on Tuesday, April 2, 2019 at CGH Medical Center. Ernest was born October 5, 1930 in Sterling the son of Ernest and Sarah (Evans) Schultz. He married Joan H. Miller on July 17, 1950, in Rock Falls. She preceded him in death in 2011. Ernest served in the United States Army from 1951 to 1955 during the Korean War. He retired from Northwestern Steel and Wire. He worked for his youngest son at Quality Plating for 5 years. He spent many years camping at Lake LaDonna campground with his wife and enjoyed spending time with his family. He is survived by his two sons, Terry Schultz of Sterling, Gary (Cindy) Schultz of Deer Grove; a sister, Emma "Tina" Quimby of Mt. Morris; 5 grandchildren, Darla (TJ) Paone, Michael Schultz, Jessica Schultz, Aaron (Cassi) Schultz, Andrew (Haily) Schultz; 5 great-grandchildren, Haley, Zoey, Faith, Noah and Corabelle and 3 great- great grandchildren Leeland, Leddie and Logan. He was preceded in death by his wife, his parents, a brother, four sisters and a great grandson. Visitation will be from 10:00 a.m., until time of the funeral at 11:00 a.m., on Monday, April 8th 2019, at the McDonald Funeral Home, 505 First Avenue in Sterling with Pastor Jason Borton of Harvest Time Bible Church officiating. Burial will be at Oak Knoll Memorial Park in Sterling with full military honors.